Patience Creighton has devoted her life to running her father's boarding school. But when the enigmatic master of the estate appears at her door, battered and unconscious, the young headmistress suddenly finds her livelihood--and her heart --in the hands of one dangerously handsome gentleman. At twenty-five, Patience Creighton is already a spinster. 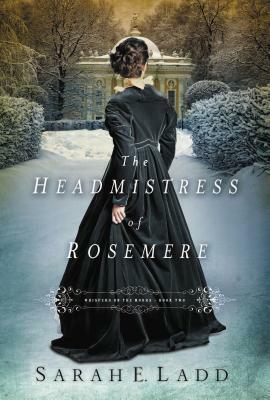 The busy headmistress of Rosemere always expected a dashing man to sweep her off her feet and take her away . . . but that man never came. And since her father's death, keeping the school running and her mother happy has been plenty to keep her occupied. William Sterling dallied his way into financial trouble and mortal danger. When he is assaulted by his creditors' henchmen on the road home from a tavern, he guides his horse to the doorstep of his tenant, the Rosemere School for Young Ladies. After being tended to by Patience, the wounded William rides off into the dawn--but makes a point to learn more about the lovely headmistress. As he spends more time at Rosemere, something delicate begins to develop between William and Patience. But that will not deter William's creditors. With little money to repay his debts, and less for the upkeep of his estate, it becomes clear that sacrificing Rosemere may be the only way to preserve his legacy. But it may also cost him his happiness. Sarah E. Ladd received the 2011 Genesis Award in historical romance for The Heiress of Winterwood. She is a graduate of Ball State University and has more than ten years of marketing experience. Sarah lives in Indiana with her amazing husband, sweet daughter, and spunky Golden Retriever.